Our EDM Machines are available NOW. We offer an all inclusive EDM warranty on EDM machines that covers parts and labor. We warranty the entire EDM Machine system, not just the parts that we added or worked on. We also provide a standard labor parts warranty on our fully reconditioned and New EDM machines. If there is a problem with an EDM machine that develops after the warranty period that we should have caught and corrected, we will repair it under our standard warranty at no cost to the customer. At EDM Network, Inc., we specialize in the import and distribution of EDM machines in the United States. After combining with CHMER EDM, Taiwan’s largest EDM Machine builder, we currently have the world’s largest selection of affordable electronic discharge machines available for your EDM needs. 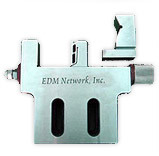 If you are in need of our products and services, look no further; EDM Network, Inc. will gladly assist you in all of your EDM machining needs. 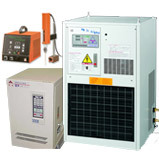 To inquire about EDM machines or the services we provide, call 1-888-289-3367. What do EDM machines do? Electrical Discharge Machining, or EDM for short, is a machining process that utilizes electrical discharges to get the desired shape of a metal part. Using an EDM machine to shape a part has distinct advantages over using conventional cutting tools. For example, when cutting a part, you can work with materials that are of a complex shape. Normally this would prove highly difficult using conventional tools, but with the use of an EDM machine, this normally difficult task can be done with ease. Even parts that are of varying toughness and size are no problem for an EDM machine. If you are working with delicate parts, or other parts that would be extremely difficult to work with conventionally, an EDM machine can instantly alleviate this issue for you. What types of EDM machines does EDM Network, Inc. offer? 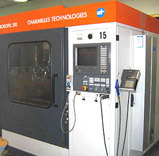 We can provide you the electronic discharge machining system that is best suited to your needs. 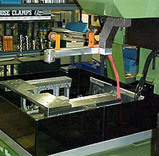 If you would like to inquire about our EDM machines or our services, please call us at 1-888-289-3367.